Anglo-Arabian, or Anglo-Arab, horses ara a crossbred between Thoroughbred (thus, the prefix "Anglo") and Arabian horses. The cross can be made between a Thoroughbred stallion and an Arabian mare, or vice versa. It can also be a cross between either an Anglo-Arabian and a Thoroughbred or, alternatively, an Anglo-Arabian and an Arabian. Another permitted cross is between two Anglo-Arabians. No matter the cross, a horse must have a minimum 12.5% of Arabian blood to be considered an Anglo-Arabian. France is one of the largest producers of Anglo-Arabian horses. French Anglo-Arabian horses can trace their liniage back to two stallions: the Arabian stud Massoud and Aslam, a Turkish horse, probably of the now-extinct Turkoman breed. These Syrian imports were then crossed with a trio of Thoroughbreds, specifically, the Comus Mare, the Selim Mare, and Daer. Some years later, three of their daughters — Clovis, Danae, and Delphine — formed the foundation of the French Anglo-Arabian breeding program. Anglo-Arabian horses have used for military purposes. But these days they are mainly used as a general riding or sport horse. 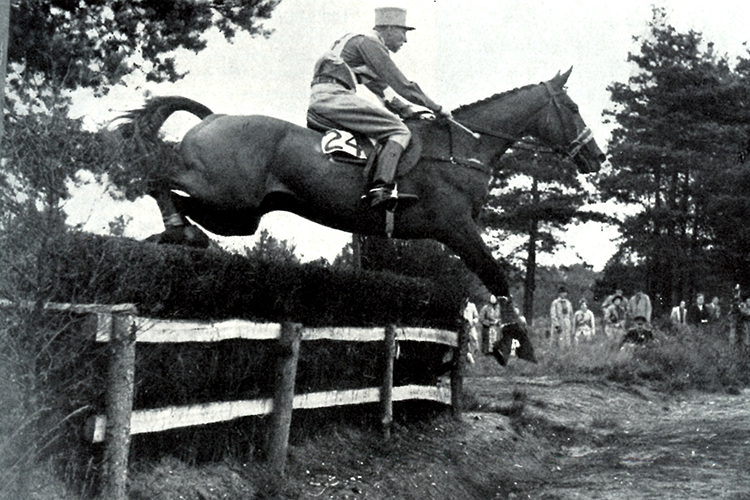 They doe well in eventing, due to its stamina, speed, and jumping ability. In the United States, the Anglo-Arabian is considered a "part-bred" Arabian and, consequently, is registered within a separate section of the Arabian Horse Association. As a result of different crosses that can produce an Anglo-Arabian horse, their size and appearance can vary a lot. However, on average, an Anglo-Arabian is a bit taller than the average Arabian horse (Anglo-Arabians average 15.2–16.3hands). The largest horses are usually produced by breeding a Thoroughbred mare to an Arabian stallion. The best examples of this breed inherit the refinement, good bone, and endurance of Arabian horses, as well as the speed and scope of a Thoroughbred.